Unfortunately, many Christians do this with one of God’s amazing Christmas gifts. I’m talking about the incredible fact that Jesus came not only to die for us but to also live for us. I have often asked people this question: if Jesus’ sole mission was to pay for our sins, why didn’t he come down to earth one week, die the next, and then ascend into heaven? Why spend 33 years living in our sin-drenched world? Because paying for our sins was not his sole mission! An essential part of his mission was to keep all the commandments perfectly for us. 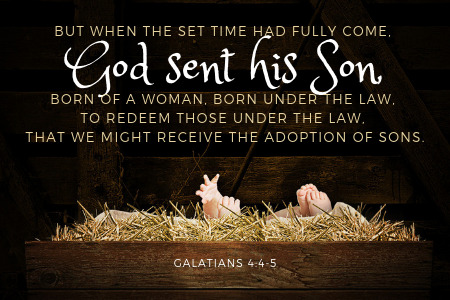 He “was born under law to redeem those under law, that we might receive the adoption of sons” (Galatians 4:4-5). He redeemed us from the law by keeping it in our place. Throughout his life, starting with his birth, Christ weaved a coat of perfect righteousness for us. Because it all started at Christmas, I like to think of it as a coat he gave me at Christmas. Many Christians, however, don’t use or have forgotten all about their wonderful Christmas coat. This is seen when they struggle to see themselves as saints in God’s sight. I have even had some Christians become angry with me when I said they were already saints to God! All they could see was their sins and themselves as miserable sinners. Pause for a moment to think though the ramifications. Jesus endured much to make this coat. What message do we send when we hang it in the back of our closet and forget about it? Or what are we missing when we don’t wrap ourselves in the luxurious warmth of God’s love and only see ourselves as damnable sinners? Think of the comfort, the peace, the joy we forgo! 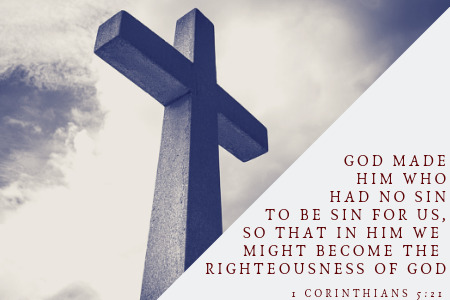 In 1 Corinthians Paul wrote: “God made him who had no sin to be sin for us, so that in him we might become the righteousness of God” (1 Corinthians 5:21). Just as we are pretty good at seeing Jesus being made sin for us, let’s be just as good at seeing that “in him we might become the righteousness of God”. Friends, don’t hang your robe of righteousness—your Christmas coat—in the closet and forget about it. Wear it all year round! 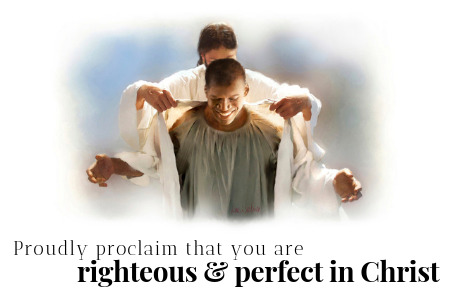 Proudly proclaim that you are righteous and perfect in Christ. To him be all the glory!